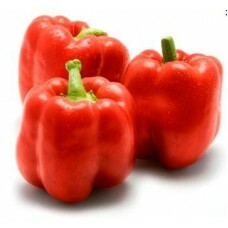 Maturing from light-green to golden-yellow, the peppers grow on 22-26" sturdy, upright plants that set continuously. 4 inch thick walled peppers deliver an amazing citrus-like flavor, and are perfect for dips, salads or stuffing. Plants are vigorous and high-yielding, with fruits that ripen from lime-green to Yellow. Harvest in 62-73 days from transplant. 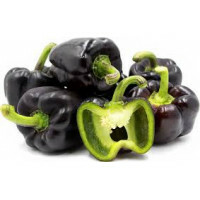 Capsicum Bell Pepper Purple Seeds. Weight: ..